One o’clock, two o’clock, three o’clock, wash! 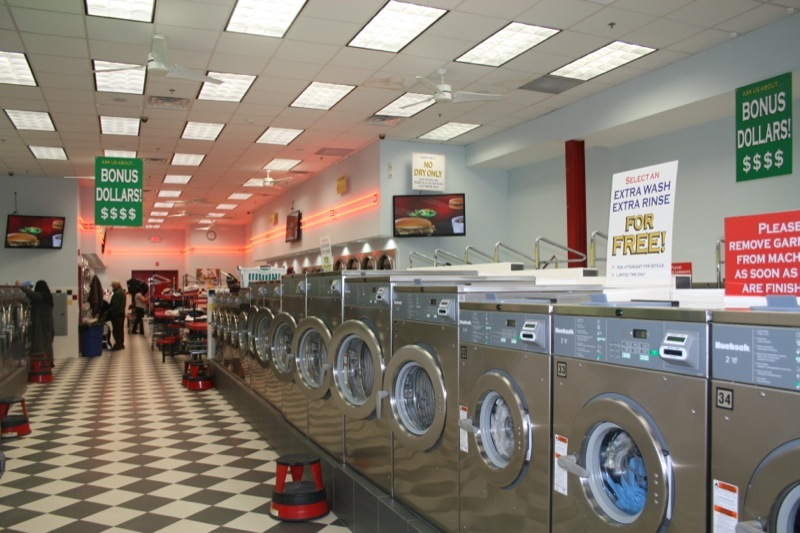 It’s time to wash around the clock at our new 24 hour laundromat in North Plainfield, NJ. White Tiger Laundromat, located at 1019 U.S. 22 in North Plainfield, offers the convenience of round-the-clock washing to fit anyone’s hectic schedule. All the comforts at this family-owned and operated business make your washing experience quick and hassle-free. There are deals here that no other laundromat would even think of offering! For those of you working on a budget, White Tiger offers everyday deals, including 99¢ Wednesdays when you can bring in your load and toss it right in the 20 lb washers! This is the kind of deal you can’t find anywhere else, especially with the kind of clean and upbeat atmosphere that has been created by the White Tiger family. It doesn’t matter when you’re ready to stop by – the doors of the White Tiger Laundromat are always open!